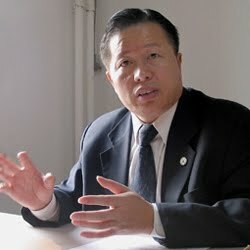 Siweiluozi's Blog: Research Note: When Does Gao Zhisheng's Sentence Expire? Research Note: When Does Gao Zhisheng's Sentence Expire? In mid-August, the family of disappeared rights lawyer Gao Zhisheng issued an appeal calling on the Chinese government to provide news of his whereabouts. The appeal was timed with the fifth anniversary of Gao's detention by police back in 2006, the first step in his prosecution on charges of "inciting subversion of state power"—charges for which he was convicted on 21 December of that same year and sentenced to three years' imprisonment, suspended for five years. According to Chinese law, Gao Zhisheng's five-year probationary sentence came to an end on Sunday. However, the 45-year-old lawyer remains missing. Reports from the Reuters and DPA wires similarly suggested that Gao's sentence expired back in August, adding an extra layer of illegality (as if that were even possible) to the authorities' treatment of the lawyer. Ordinarily, when an individual is sentenced to imprisonment in China, he or she is given credit for time spent in pre-trial custody. So, if Gao had been given a straight three-year sentence back in 2006, he would have been released from prison in mid-August 2009 (not three years after his December 2006 sentencing). But suspended sentences are counted differently. The "probationary" period—which for Gao lasts five years—doesn't commence until the sentence becomes final. In non-capital criminal cases, a sentence becomes final in one of two ways: when a court of second instance issues its appellate decision or when the ten-day period following a first-instance verdict expires with neither party filing an appeal. The Beijing Number One Intermediate People's Court issued its verdict against Gao on 21 December 2006. It is my recollection that Gao did not appeal, which would mean that his sentence became final on 31 December. That would mean that Gao's probationary period will not actually expire until the end of the year. At that point, his "supplementary punishment" of "deprivation of political rights" for one year will commence. I don't fault the reporters above or Gao's family for getting this wrong. This is some pretty esoteric knowledge of the criminal law and criminal procedure law and even involves some interpretation of ambiguous phrases (see this discussion, for example, if you're really interested). To be honest, I'm not entirely sure if I've gotten the date right, though I think I should be correct within one day on either side of 31 December. And of course it should go without saying that all of this discussion about the letter of the law is rather trivial in the face of the blatant illegality of the way Gao Zhisheng has been treated and the Chinese government's seeming indifference to his fate. In short: even if Gao's sentence has not technically expired, that does not provide anyone with any legal justification for making him disappear. A New Tourism Promo for Dongshigu Village?